Now composing his original material, Wienk began stretching his sonic purview beyond just his vast array of percussion, and completely disregarding any parameters. As a matter of fact, the first creative spark arose by bringing harmonics and voice into the mix. 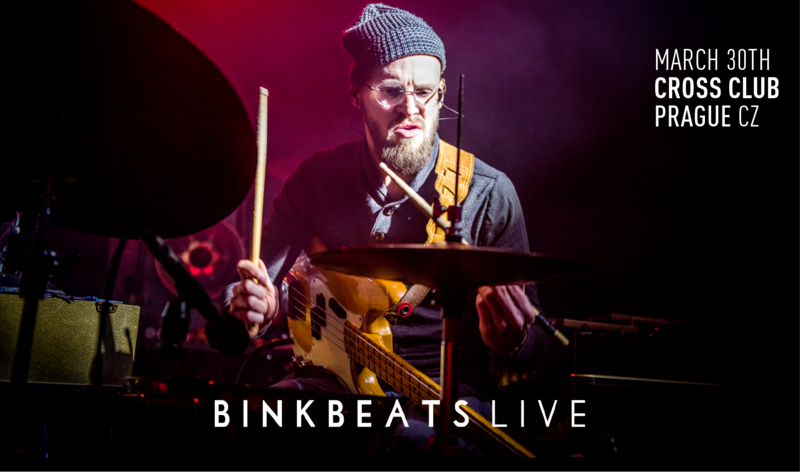 As a result, Binkbeats has become Wienk’s beautiful limbo where his influences bleed into each other freely, intuitively and fearlessly. Cavernous, four-to-the-floor club sprawlers, widescreen pop euphoria and brooding drone workouts all orbit Binkbeats‘ all-embracing vision. The common thread of it all: to spawn something surreal out of the earthly. On stage, Wienk naturally surrounds himself with a dazzling amount of toys, instruments and gear: a physical performance that ranges from daredevil to introspective, exploring a nexus of possibilities.